The elegant Thomas Hampson is Eugene Onegin, a handsome young man who coldly spurns the love of shy Tatiana (Solveig Kringelborn) and flirts with the fiancée of his best friend Lensky (Marcello Giordani)—which leads to a duel in which Lensky is killed. 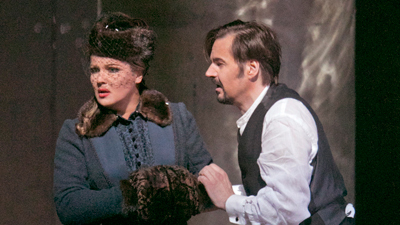 But Onegin’s disregard for other people is turned on its head years later when he meets a more mature and self-assured Tatiana, no longer a country girl but the beautiful wife of Prince Gremin (Robert Lloyd). 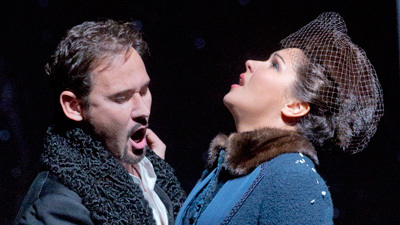 This time it is Onegin who pours out his heart—only to be left alone.